We remember when personal computers first came out. You could build them yourself if you were savvy. That’s what Michael Dell did way back when. He sold them to other college students and the business went on from there. There’s also a non-touch screen version of the Computer Kit for $200. 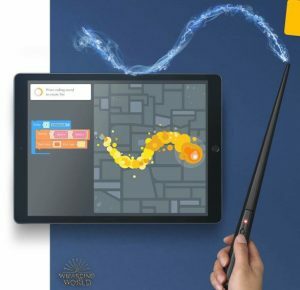 A Harry Potter wand will let you program spells inspired by the Harry Potter movies and books. 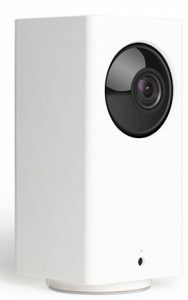 The “Wyze Cam Pan” is a $30 security camera with more features than the more expensive “Nest Cam Indoor” or the Amazon “Cloud Cam,” according to testers at CNET.com. The cheap Wyze has some of the same features found on $200 security cameras like the iSmartAlarm. Like most security cameras, the Wyze has free cloud storage. Or you can store your video clips on the device itself if you add a microSD card. With a free app on your phone, you can check on live feed – meaning whatever is happening at that moment, view saved clips and adjust settings. Wyze stores video clips for free for 14 days (other services require a paid subscription after 24 hours). Most importantly, it alerts you when the motion and sound detectors are triggered. You can have a separate alert set for smoke and carbon monoxide alarms. Its field of view is greater than Amazon’s Cloud Cam or the Nest Cam Indoor. The camera has a normally fixed angle of 120-degrees but can pan 360 degrees and tilt 93 degrees. Our young relatives love podcasts, and we’ve become fans as well. These can come in on an Alexa or Google Home, a smartphone or a computer. These are hot right now and figure to last well into the future. They offer brief broadcasts that are on your call, and not on a network’s schedule. Our favorites are “Planet Money,” and “Freakonomics Radio,” but there are hundreds more. To start, say: “Alexa, play the ‘TED Radio Hour,’ or “Hey Google, play ‘Hidden Brain.’” Or go to the website. We also tried “This Week in Tech,” and “This American Life,” from National Public Radio. What’s the best way to sell an old phone? According to Flipsy.com, carriers like Verizon and AT&T pay 30 percent less than online buyback companies. What’s worse is they just give you a credit line for that amount, to be used for buying some of their services. For example, Flipsy.com will give $270 cash for an iPhone 7. At AT&T you can only get a $130 credit. Verizon is the best of the major brands; it will give you a $173 credit. We could get $338 for our Pixel 2. We could probably earn a bit more on eBay, but Flipsy has an advantage. It doesn’t require a detailed listing, nor do you have to do customer service, such as dealing with returns. One problem: You don’t want to sell your old iPhone until your new one arrives. 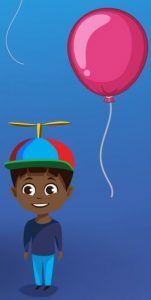 Some of Flipsy’s partners offers a 45 day price lock. Here’s how it works. Type in the model of your phone. When the next page comes up, notice the four columns. Next to the type of payment they accept, such as credit card, you’ll find the number of days they guarantee the price. Most have around 20 days, but a few, like BuyBackWorld.com, WeBuyMobile.com and BuymyPod.com offer 45 days of locked in pricing. DuckDuckGo has a built-in loan calculator. Type “Loan 50,000 at 3.5% with 25% down for 15 years” and the answer comes back: $268.08 for 15 years. Total interest paid is $10,754.57.” You can get these results on Google too, with more clicks. If you come across a shortened web address, like Bit.ly/scicabinet, and you aren’t sure you want to go there, you can type “expand Bit.ly/scicabinet” and DuckDuckGo will give you the full address. DuckDuckGo results are different from Google’s. It shows the same results to all users, but Google tailors yours to what you usually search for. However in our tests, the two results lists weren’t much different, and Google’s results are a lot better looking and often include photos. For instance, if you want to know the major rivers in Africa, or any country, Google’s results will include scenes with those rivers. To set up the “Duck” on your phone, go to the app store and download the DuckDuckGo app. On your computer, open your favorite browser, find “Settings” and change the default search engine to DuckDuckGo. For example, in Google Chrome, click on the three stacked dots, choose “Settings” and click “Manage Search Engines.” Then scroll down to “Other Search Engines” and choose “DuckDuckGo.” Or don’t change your default and just go to DuckDuckGo.com whenever you want the privacy. Gyft.com sells gift cards through a free app for iPhone and Android, or you can use it to manage any gift cards you’ve received. GraphoGame is for children 4 to 9 and has been shown to increase reading scores around 16 percent after 15 minutes a day of play. The game was developed by Finland and Cambridge University, England, and helps children learn their first letters, syllables and words, using rhymes and sounds. Cost is $6.